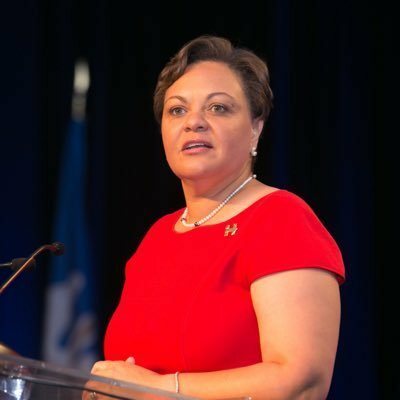 On Friday evening, Louisiana State Senator Karen Carter Peterson issued a statement admitting that she, like many others, struggles with a gambling addiction. The District 5 Senator issued the statement after receiving word that someone inside a state program intended to help those with gambling addiction breached confidentiality and leaked information regarding Peterson’s participation in the program to a media outlet. Earlier that evening, New Orleans’ WWL-TV reported that Peterson was issued a misdemeanor citation by Louisiana State Police for “remaining places after being forbidden” while at the L’auberge Casino in Baton Rouge. Two years ago, Peterson volunteered to participate in the Louisiana “self-exclusion from casino gambling” program. She completed a waiver excluding her from all casino gambling establishments. The program specifies that should a participant be caught gambling, any winnings would be withheld and remitted to the State of Louisiana, and the participant may be subject to arrest or other legal recourse. As the first woman to serve as chair of the Louisiana Democratic Party, Senator Peterson was recently named to Higher Heights’ “Chisholm List 50,” which recognized 50 powerful black women elected to public office. Peterson also serves as the vice chair of the Democratic National Committee’s Civic Engagement & Voter Participation Committee. She remains as committed to those obligations as she does her position in the state legislature. I congratulate her on her perseverance with this struggle. Her “outing” may be embarrassing, but it may also do others a world of good. Anyone can become addicted, from any walk of life. It seems as if someone was trying to shame her, but there’s no shame in trying, and trying, and trying to beat addiction.